Meet The Brandon Family…a 2013 National Kidney Walk Ambassador. Our story starts out the same as many others; once upon a time, there was a healthy young boy. He went to school and played with his friends. He had no cares except for saving for his next video game and hoping to play paintball with his brother-in-law. We were not prepared for our son Tommy’s serious diagnosis. In November 2010, we took Tommy to the doctor for a routine wellness visit. While looking at his chart, his pediatrician was concerned with his apparent slow growth. As the doctor progressed through Tommy’s exam, she decided to order some blood and urine tests. Although the doctor had ordered tests and showed some concern, we were not overly worried. In the evening on the following Friday, we received a phone call from the doctor’s office. They had found blood and protein in Tommy’s urine and additional tests were needed. When we asked them what this meant, they replied that there may be a problem with his kidneys. His pediatrician wanted him seen by the nephrology team at Children’s Hospital and it was likely they would perform a biopsy. The pediatrician’s office would schedule an appointment and call us on Monday. It was the longest weekend of our lives. During that weekend, we decided to make sure Tommy had the best care possible so we spent the weekend on the internet researching medical facilities. 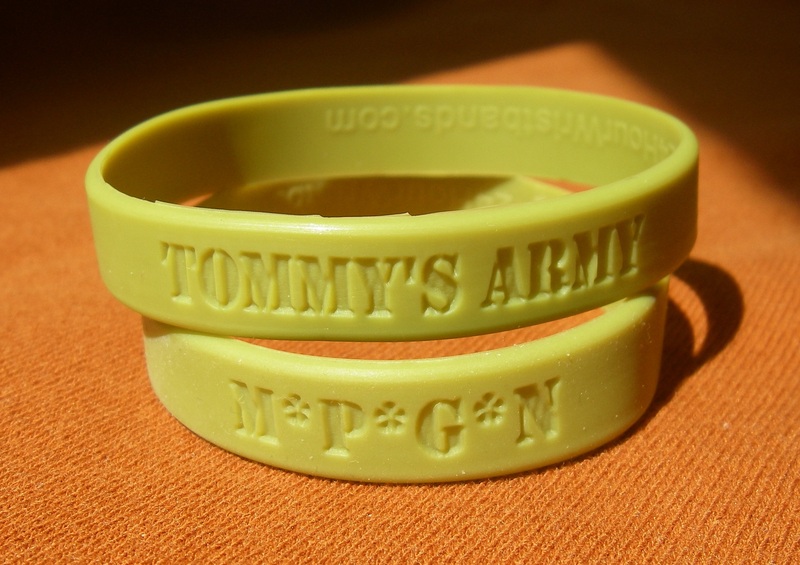 We decided that University of Michigan’s Mott Children’s Hospital would meet Tommy’s needs the best. It was difficult for us to get an appointment. A referral from the pediatrician had to be reviewed, as well as his medical records. After a week of relentless phone calls and red tape, we finally were able to get the needed appointment. It was worth the wait because Tommy’s nephrologist has been fantastic. A biopsy was quickly scheduled. After several weeks of waiting and trying to keep life normal, the results came in. 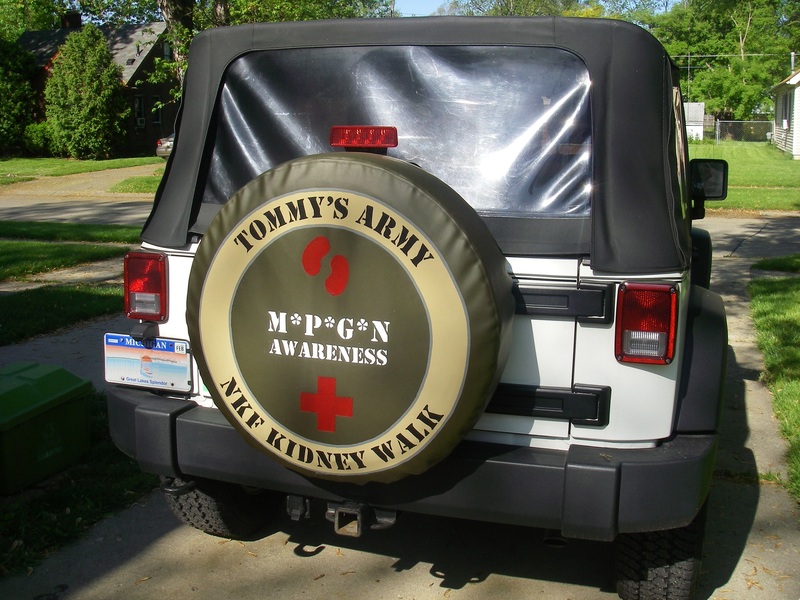 Tommy had a disease called Membranoproliferative Glomerulonephritis Type 1 or MPGN for short. It is a rare, progressive autoimmune kidney disease with no known cure. We were told that half the kids go into renal failure within 8-10 years. We also learned that little is known about this disease. There was no way to predict how Tommy would do. We thanked God that he was diagnosed before he had symptoms or significant kidney damage. The first six months after diagnosis were extremely difficult. You try to keep things as normal as possible but it’s hard with all the doctor visits, medical tests, waiting for tests results, monitoring medications, and trying to explain to a nine year old why it’s all necessary. Our path on this journey has been easier because of the support from the National Kidney Foundation. Since our goal was to maintain life as normal as possible, we hoped Tommy could go to overnight summer camp. The previous year we had sent him to a wonderful 4H camp almost three hours away, but we were concerned about having him so far away after just starting treatment. Our research for a closer camp led us to find an article about the National Kidney Foundation camp in Michigan. It was only 45 minutes from home and the NKF would have medical staff onsite to oversee his care. I immediately called the local NKF office in Ann Arbor, Michigan and was put through to Bob Meyers. He was absolutely wonderful and assured us that they had a place for Tommy to attend and that they would take great care of him. They offered Tommy a scholarship to help with the expenses. We knew right then that we needed to find a way to support NKF, the same way they supported us. We participated in our first Kidney Walk in spring 2011 to raise money for the NKF. Our oldest daughter, Samantha, had organized a walk team for another charity so we knew this was our answer. Sam agreed to co-captain with Tommy. 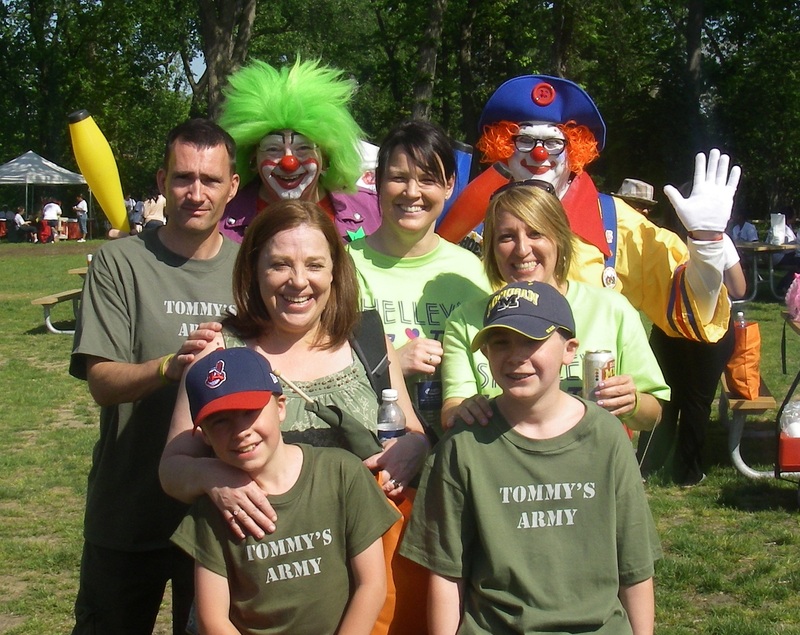 Our team was named Tommy’s Army after Tommy’s interest in the military. We were disorganized and fumbled our way through the process of fundraising but somehow we managed to raise $11,000.00. We took first place in the family and friends category. When we look back at the whole experience, it was the support from our family, friends, employers, coworkers, and the community that truly overwhelmed us. So many people either donated or joined the team and it spoke volumes to us on how much people cared about Tommy and our family. Aside from soliciting funding for the NKF, another goal of our team is awareness and understanding. We want to make people aware of this rare kidney disease while letting people know that kidney disease, in general, is not rare. We’re hoping that an increase in awareness will bring about an increase in research. We’re also hoping to make life healthier and happier for people diagnosed with kidney disease, and hopefully help people get diagnosed early. Since that first walk, we have branched out and became more involved with our local NKF office. We treasure the friendships we have developed with the staff. We understand that many of them are kidney patients themselves or have a family member that is a kidney patient. We have become believers in the work of this foundation, bringing awareness to the public of kidney disease and providing support to kidney patients and caregivers. Our team walked again in 2012, raising approximately $25,000. Today, Tommy is responding well to treatment and has two-year plan utilizing steroids and other medications to control his MPGN. His recent lab results show his disease has slowed and his tests are within normal ranges. They will reassess his progress in 2013. 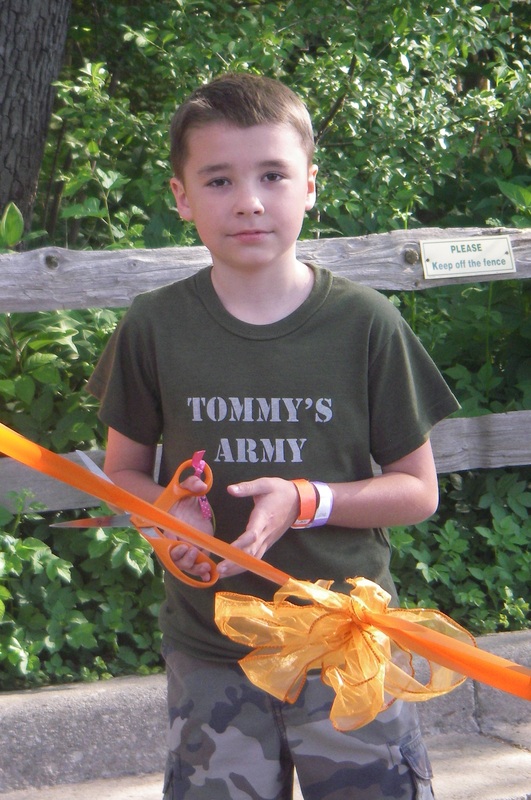 Whatever the future holds for Tommy and us, we know we can count on the support of the National Kidney Foundation. for our Spring Edition of the Kidney Walk Fundraising Mentor Calls. Are you a Team Captain looking for some ideas on how to jump start your team? Or have you led your team to a few successful years of fundraising and you’re looking for new ideas? No matter what your reason, we invite you as the Team Captain to join us for our Fundraising Mentor Calls to help your team successfully reach its fundraising goal. Please click here for more information including the call-in number for these calls. We are pleased to announce our 2013 National Kidney Walk Ambassadors – the Brandon Family, the Imbriale Family and the Paglio Family. These families were nominated by their local staff partners and will serve as the faces of the Kidney Walk this year by sharing their stories on a national platform. We will introduce each family over the next few months by posting their stories on social media, the Kidney Walk website and in other publications. What is a National Kidney Walk Ambassador? A National Kidney Walk Ambassador is a family or individual who shares his/her story to inspire others and raise awareness and funds for kidney disease during the upcoming walk season. What are the expectations of a National Kidney Walk Ambassador? How are the National Ambassadors chosen? Kidney Walk Ambassadors are nominated by local divisions and affiliates in the summer. A maximum of three ambassadors will be chosen from the following categories (Nephrologists, Donors, Recipient, Caregiver, Patient) by National Kidney Foundation Leadership. How can I become a National Kidney Foundation Ambassador? Contact your local National Kidney Foundation Office. For more information please contact Deanna Bucciarelli at deanna.bucciarelli@kidney.org. 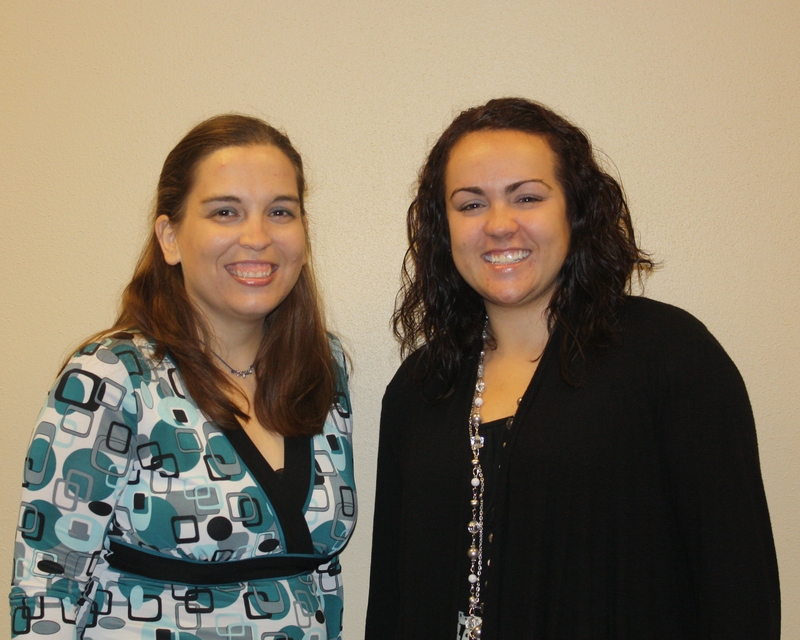 Jami Kaelin and Kristin Wilson work side by side at Community First Credit Union every day, but it took a while for them to realize just how connected they really were. Jami has a rare kidney ailment known as Dense Deposit disease. She’s had two kidney transplants and the second one has lasted 11 years already. Kristin was born with kidney damage and had her transplant about a year and half ago. When a company newsletter highlighted Kristin’s transplant, the two forged a friendship and share a dedication to the kidney cause. Both Jami and Kristin have taken part in other charity walks, but this time they decided to start their own event dedicated to the fight against kidney disease. For the past few months they have been worked to organize the first-ever National Kidney Foundation Southeast Iowa Kidney Walk to be held in Ottumwa. While starting out small this year, both Jami and Kristin are looking forward to continuing the Ottumwa event and making an impact locally in the lives of kidney patients.